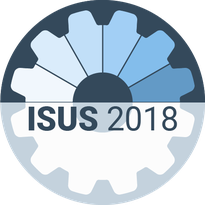 As participant of the ISUS 2018 conference you are able to take advantage of the special rates that we have negotiated with the hotels listed below. The hotels will already take your reservation. All hotels - except for the Schlosshotel and the A&O Hostel which both are at the train station - are in the city centre and in easy walking distance to the conference venue. The hotels and the conference venues are shown on the attached map. 11/4 99,00 € 25.05.2018 "ISUS"
double rooms available, breakfast: 8,00 € 20.05.2018 "ISUS 2018"
10/5 77,00 € 99,00 € for 28.-29.07.2018 15.06.2018 "ISUS"
32/9 99,00 € double rooms: 119,00 € 23.06.2018 "KIT ISUS Philosophie"
20/7 122,00 € 08.06.2018 "ISUS"
18/8 68,00 € 18.06.2018 "ISUS"
76137 Karlsruhe 32/9 ca. 25,00 € bed in dormitory 25.05.2018 "KA1-109400"
If you need help with finding a place to stay in Karlsruhe, please do not hesitate to contact us.